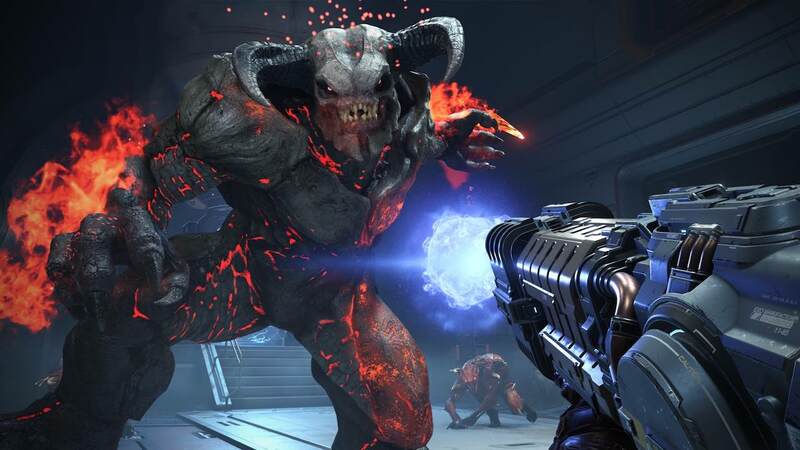 id Software has confirmed that Panic Button is handling the DOOM Eternal port to Nintendo Switch, and that, as with DOOM, it will target 30 frames per second on the portable home console. “That’s the plan right now; we’ll see. We’re still a way away from launching but we have made the decision to make Switch a, what we call internally, ‘first-class citizen’,” DOOM Eternal executive producer Marty Stratton explained to Eurogamer. When asked whether the port was being handled internally, Stratton clarified that Panic Button is handling the port, continuing to build on their success with Rocket League, DOOM and Wolfenstein II: The New Colossus. And, while DOOM Eternal will run at 60 frames per second on the more powerful platforms, Nintendo Switch will target 30 frames per second. DOOM Eternal was revealed at QuakeCon 2018 this weekend, where more than 15 minutes of gameplay footage had shown the DOOM Slayer’s redesigned armour and powerful new tools – like the new Meat Hook mod for the Super Shotgun, a brutal new extendable blade, and a shoulder-mounted cannon with flamethrower. DOOM Eternal will release for Nintendo Switch worldwide.